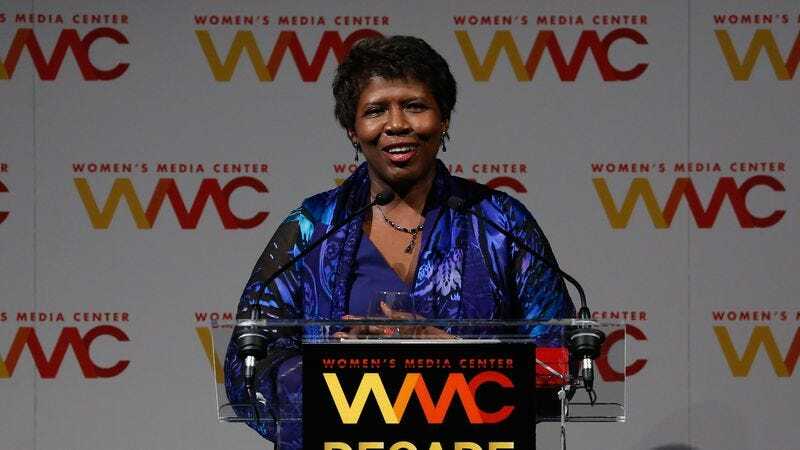 Groundbreaking journalist and news anchor Gwen Ifill has died. Her home base, PBS NewsHour, announced the news today, explaining that Ifill had been battling cancer. She was 61. As the New York Times notes, Ifill started her career in print working for the likes of The Baltimore Evening Sun, The Washington Post, and The New York Times. After a stint at NBC, she assumed the role of moderator and managing editor of PBS’ Washington Week in 1999. As recently as February, Ifill moderated a presidential debate during the Democratic primary contest between Bernie Sanders and Hillary Clinton alongside Judy Woodruff; before that forum, two women had never served those roles in such a forum together. The tributes to her work have been effusive and moving. PBS President and CEO Paula Kerger said that she “was one of America’s leading lights in journalism and a fundamental reason public media is considered a trusted window on the world by audiences across the nation.” Elsewhere, NewsHour executive producer called her “a standard bearer for courage, fairness and integrity in an industry going through seismic change.” On NBC, Pete Williams was tearful as he reported her death.